Where can I see feedback from students? 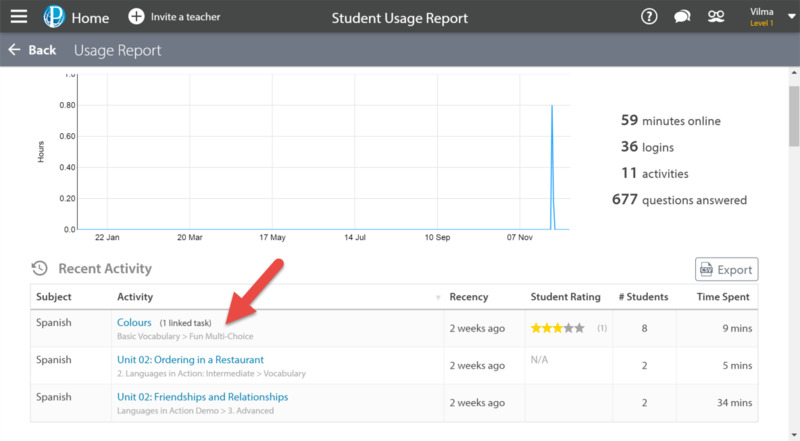 You can view your students' feedback on Education Perfect through your Control Panel. This is a helpful tool to use in order to gain a perspective of the platform from the point-of-view of a student. 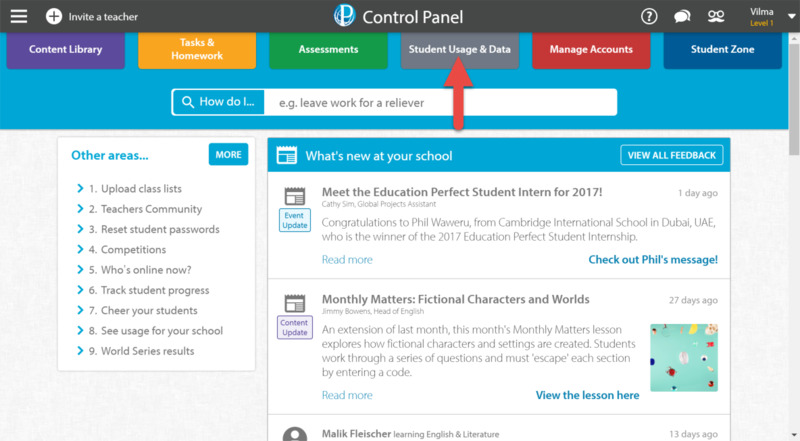 Click on the grey Student Usage & Data tab located at the top of your Control Panel. Scroll down to the Feedback section of the Usage Report. 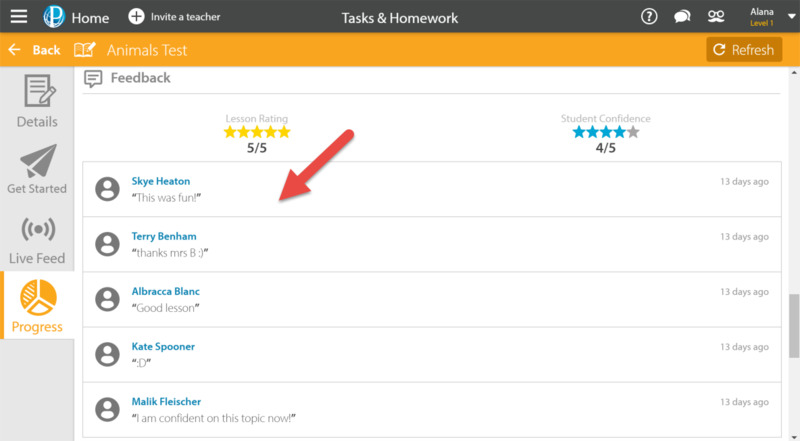 From here you are able to view the feedback that is left by students as they complete Smart Lessons or tasks. To view feedback from a certain task, select the relevant task from the Recent Activity section. Scroll to the bottom of the page to view the Feedback section. This section also displays students' ratings of the lesson and their confidence in the content covered.